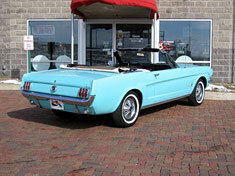 1965 Ford Mustang Convertible. Smooth, 289 V-8, original 3-speed transmission with floor mounted shifter, white wall radial tires framed by Factory wheel covers,Factory AM radio. 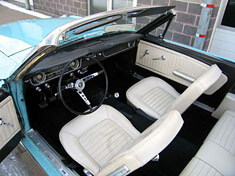 Excellent White bucket seat interior,very nice white convertible top. Finiushed in Tropical Turquoise. 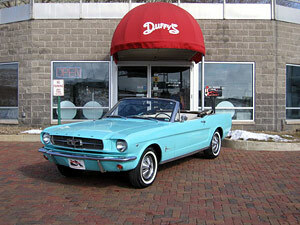 Mustang convertibles are always great cruisers and this one is no exception! $20,950.